Strong Acidic Water and Strong Kangen Water produced steadily. The type of energy conservation. Equipped with three high quality electrode plates. It is possible to produce a good amount of electrolyzed water with the ORP value in the range of +1130mV and -800mV and which boasts of good effects. This design is made possible by loading an electrolytic cell with three electrode plates that use electrodes made of platinum plated titanium. Equipped with an electrolysis enhancer tank, Strong Acidic Water and Strong Kangen Water produced steadily and continuously. The built-in tank for the electrolysis enhancer saves you the trouble of putting in the electrolysis enhancer which is necessary to obtain Strong Acidic Water and Strong Kangen Water. It allows you to produce both kinds of water steadily and continuously. An injection of electrolysis enhancer (400g) produces around 10~15 liters of strong acidic water in around thirty minutes. You will be notified by a large-sized liquid crystal display (LCD) . Easy to use one-touch panel. A clear, large-sized LCD will inform you of the water being produced (Kangen Water, Acidic Water, Strong Acidic Water*, or purified water) and necessary information. 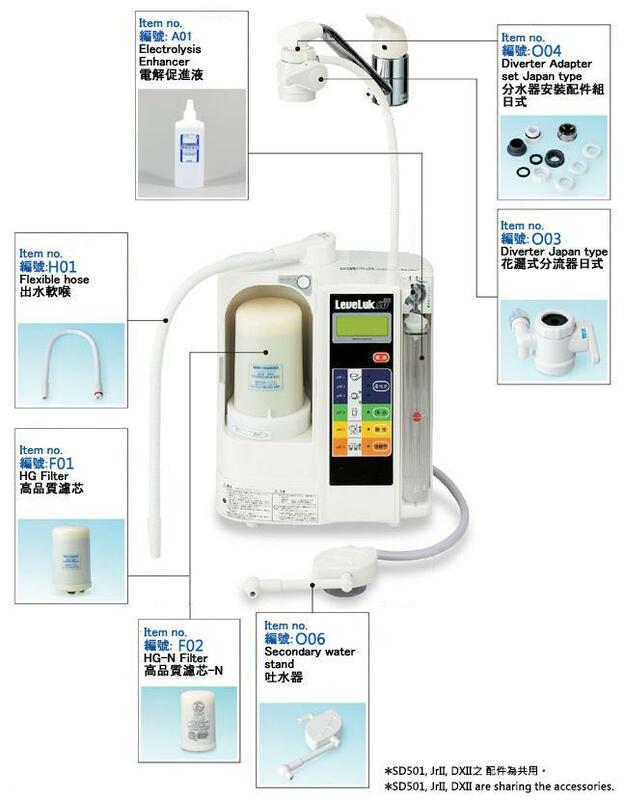 The operation is very easy, because you only need to touch a button in order to power up or down or to select the type of water you would like to obtain. *When you push the button for Strong Acidic Water, the secondary hose releases Strong Acidic Water and the flexible pipe releases Strong Kangen Water at the same time.